Glenwood Adventure Company and Lakota Guides has been offering whitewater adventures in Colorado for over 30 years and has evolved over time to be your complete Adventure Company in Glenwood Springs and parts of Western Colorado. Their mission is to provide memorable adventures with your safety in mind. Experience and variety make them the obvious choice, and they are recognized as a leader in Colorado's adventure industry. Striving to give you a world of adventures to choose from, you are sure to find an activity that will exceed your expectations and put a smile on your face! 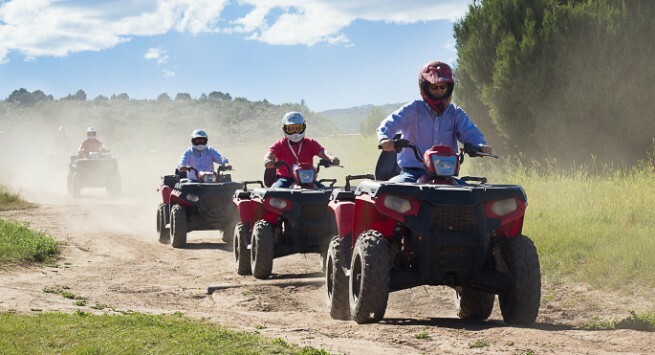 Glenwood Adventure Company offers fun activities for everyone: ATV, horseback rides, rafting, bike rentals, 4x4 Tours, Segway tours, and more. Two hours in the saddle is the ideal way to enjoy the majestic Western Colorado Rocky Mountains, but if you're short on time, a one hour ride gives time for a taste of Colorado's natural beauty. From the stables at ranch headquarters you will climb in elevation through spectacular Glenwood Canyon overlooking The Colorado River. This trail ride adventure winds its way throughout our historic ranch through wildflower meadows, Aspen trees, and blue spruce. 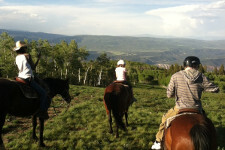 Our stables offers an authentic western horseback riding experience for riders of all skill levels. Experience the timeless allure of the American West as your professional guide escorts you through scenic trails. Our wranglers will provide you with inside info on the natural history, folklore, and geology of this historic working ranch. This excursion requires a $55 cab ride in one direction unless you have a car. Not recommended for Amtrak packages. Minimum age 7 years old all riders under 18 must be accompanied by an adult. Maximum weight 270 pounds. Meet at Bair ranch 1/2 hour before ride 66418 US-6, Glenwood Springs, CO 81601 Helmets are provided. Recommend closed shoes, long pants and sunscreen. The ideal outdoor adventure for families. Enjoy the fun and excitement of whitewater rafting with your kids in the outdoors while creating wonderful memories of time spent together on the river. You kids will develop an appreciation for the great outdoors, get to know the wonders of nature, and have a terrific fun time. 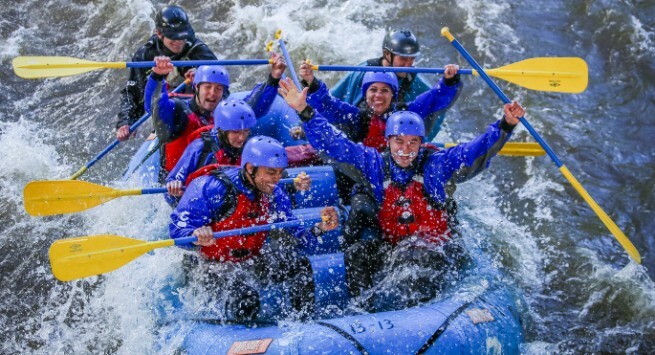 Our whitewater rafting guides are enthusiastic, safety conscious, and looking froward to introducing your family to the thrills of whitewater rafting. Helmets, life jackets and paddles provided. For your comfort, complementary wet suits, booties, and paddle jackets are provided on all of our river adventures. Please ask your guide for any of these items on arrival. Must be at least 5 years old and 30 lbs. Meet at the Glenwood Adventure Company parking lot 45 minutes to an hour before your scheduled trip. Bring swimsuits, fast drying shorts, appropriate river shoes, etc. for the river, dry clothes and towels for after the trip, sunscreen and water. A full clothing guide is available on their website under the resources tab. Must be at least 5 years old and 30 lbs. Meet at the Glenwood Adventure Company parking lot 1/2 an hour before your scheduled trip. Bring swimsuits, fast drying shorts, appropriate river shoes, etc. for the river, dry clothes and towels for after the trip, sunscreen and water. A full clothing guide is available on their website under the resources tab. 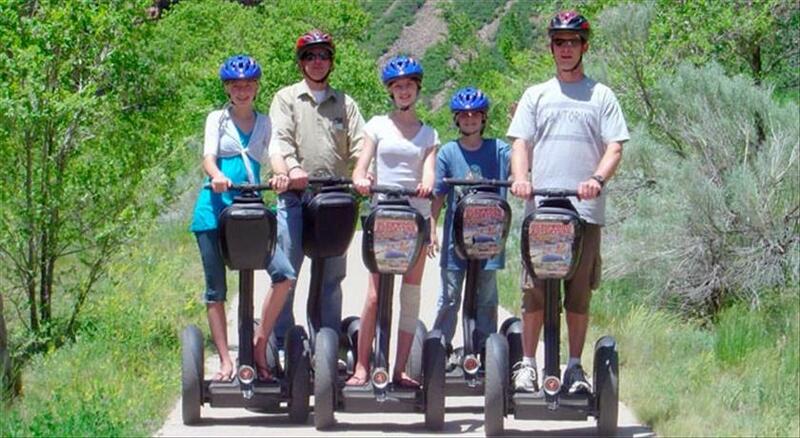 See the sights of Glenwood Springs in style on our 1.5 hour Segway Adventure. Have no fear, riding a Segway is easy and exciting! Each trip will include a thorough training session before departure. You'll view some amazing locations around Glenwood Springs, including Two River Park and The Storm King Memorial. It's an experience you won't want to miss! Helmets are provided, wear closed toe shoes, and sunscreen. Please arrive 30 min prior to your scheduled departure time at the Glenwood Adventure Company parking lot. This excursion requires a $55 taxi ride in one direction. Not recommended for Amtrak packages. 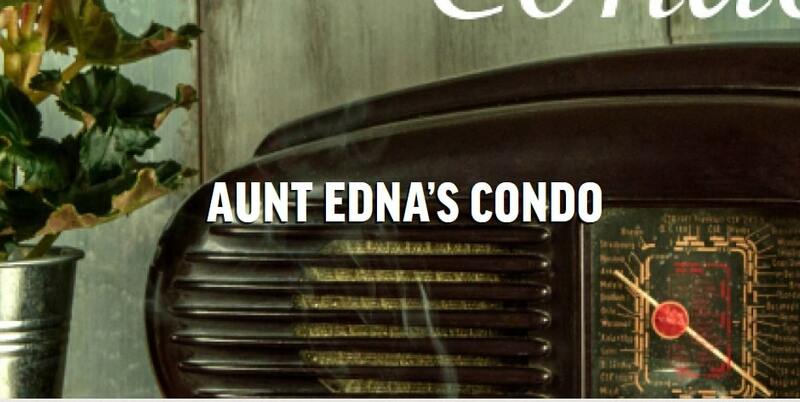 Your poor old aunt Edna has been growing increasingly paranoid over recent years. Now that she has been moved into a nursing home, she is appealing to you, her favorite relative, to enter her condo, retrieve some personal belongings, and arrange to have them sent to her. In exchange she is offering you her inheritance, which is carefully hidden somewhere in her condo, and itâ€™s protected by layers of tricks and traps. The discovery of a pyramid, presumably the resting place of a long-forgotten Pharaoh, has set the worldâ€™s imagination afire. The mysterious disappearance of previous explorers has led many to believe the Pharaoh had his burial chamber cursed. You must discover the inner tomb, identify the Pharaoh, and escape within 60 minutes, or else you too may fall victim to the Pharaohâ€™s curse! A beautiful, pristine stretch of water, offering unbelievable Rocky Mountain Scenery and a perfect mix of calm water, whitewater and scenery. The float offers incredible views of the valley. Excellent for families or anyone interested in natural history and beauty of this area. This section features interesting geology, gorgeous scenery and some fun class II whitewater. 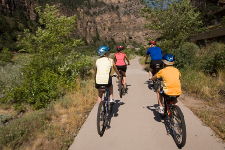 Why bike uphill when you can take advantage of our free Glenwood Canyon Shuttle? 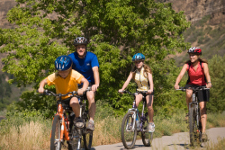 Take as long as you need, up to a full day, to bike back to town along the Colorado River. Stop at Hanging Lake, the Gem of Glenwood Canyon, along the way, for a hike before you head back to town. Within the city limits of Glenwood Springs, you can access two of the most spectacular paved trails in the state of Colorado. The Glenwood Canyon Trail east of town that parallels The Colorado River through the Canyon and The Rio Grand Trail south of town that heads towards Aspen. If you don't spend a couple of hours on a bicycle during your stay in Glenwood, you are missing out. Bike rental includes: Bike helmet, map, bike lock, handlebar bag and of course your bike. Meet at the Glenwood Adventure Company Parking. Shuttles run from 8:30-2:30pm. You MUST arrive 30 minutes before your shuttle time. You must request and reserve a time: 8am, 9am, 10am, 11am, 12pm, 1pm, or 2pm arrival. Please wear closed toe shoes and sunscreen. Consider wearing layers. Cover miles of mountain terrain while enjoying breathtaking views of Colorado's open space. This half day adventure will start at Bair ranch headquarters. You will climb through valleys and over ridges and pass through sage flats, cedar forests, oak brush hills, Aspen groves and dark timber. You will cross creeks, ancient volcanic lava beds and high mountain terrain. Your experienced guide will be able to answer any questions about the areas history, local land marks, animals and vegetation. 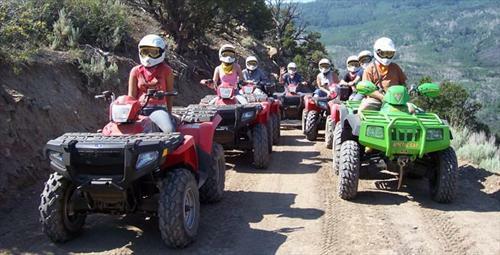 This ATV adventure is the perfect way to get out and experience Western Colorado. Helmets are provided. Please wear closed toe shoes and sunscreen. Consider wearing layers. Arrive at Bair Ranch at least 30 minutes prior to your tour. A credit card needs to be kept on file for damages if needed. Our ATV Summer Dinner Adventure combines a half day ATV adventure with a mouthwatering western chuck wagon steak dinner. Meals are cooked and served at the chuck wagon. Menu items are served family style and include steak, baked potato, fresh baked rolls, garden salad, baked beans, corn on the cob and dessert. Ice tea and lemonade are standard beverage options. You haven't had western cookin' till you've had our western BBQ. Helmets are provided. Please wear closed toe shoes and sunscreen. Consider wearing layers. Arrive at Bair Ranch at least 30 minutes prior to your tour. A credit card needs to be kept on file for damages if needed. The tour is about 1.5 hours to the site for dinner around 6pm and then 1.5 hours back. Located in spectacular Glenwood Canyon, A beautiful, pristine stretch of water, offering unbelievable Rocky Mountain scenery and a perfect mix of calm water, whitewater, and scenery. This is a great introduction to rafters with a sense of adventure. The perfect adventure for those looking for a taste of whitewater and a scenic experience. 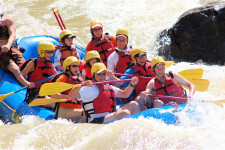 This trip includes Class II-III whitewater and a great introduction for first-time rafters with a sense of adventure that requires no previous rafting experience. 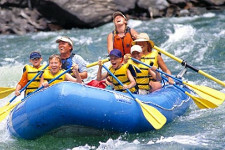 The Shoshone Class III rapids offer the whitewater enthusiast a 2 mile stretch of exciting but not intimidating rapids. A guide favorite with interesting geology, gorgeous scenery, and some fun whitewater. Swimming opportunities abound as the warm Colorado air makes the cool Colorado River very inviting. A perfect adventure for everyone designed to excite, but not intimidate. A different way to take in the natural beauty of Glenwood Springs! This ain't no ordinary tour. 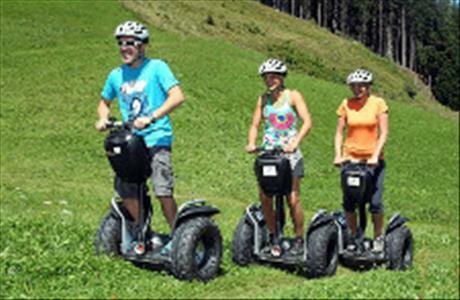 For the adventurous in spirit, or just the downright curious, our Segway adventures provide you with an unforgettable, unique mountain experience. This guided tour is suitable for first time and experienced riders. Climb 2,000 feet above historic Glenwood Springs on The Red Mountain off road adventure, or glide around downtown Glenwood Springs on our one hour adventure. Please note, all children must weight at least 100 pounds to participate in any Segway Adventure, and the maximum weight is 260 pounds. 1 - Day Adult Ski Rental - 2017 Brand new Rossignol Smash 7 all mountain ski equipment. Conveniently located to all downtown lodging. Will deliver to your hotel. 2 - Day Adult Ski Rental - 2017 Brand new Rossignol Smash 7 all mountain ski equipment. Conveniently located to all downtown lodging. Will deliver to your hotel. 3 - Day Adult Ski Rental - 2017 Brand new Rossignol Smash 7 all mountain ski equipment. Conveniently located to all downtown lodging. Will deliver to your hotel. 4 - Day Adult Ski Rental - 2017 Brand new Rossignol Smash 7 all mountain ski equipment. Conveniently located to all downtown lodging. Will deliver to your hotel. 5 - Day Adult Ski Rental - 2017 Brand new Rossignol Smash 7 all mountain ski equipment. Conveniently located to all downtown lodging. Will deliver to your hotel. 3 - Day Adult Ski Rental - 2017 Brand new Rossignol Pursuit 100 all mountain ski equipment. Conveniently located to all downtown lodging. Will deliver to your hotel. 1 - Day Adult Ski Rental - 2017 Brand new Rossignol Pursuit 100 all mountain ski equipment. Conveniently located to all downtown lodging. Will deliver to your hotel. 1 - Day Child Ski Rental - 2017 Brand new Rossignol all mountain ski equipment. Conveniently located to all downtown lodging. Will deliver to your hotel. 2 - Day Adult Ski Rental - 2017 Brand new Rossignol Pursuit 100 all mountain ski equipment. Conveniently located to all downtown lodging. Will deliver to your hotel. 2 - Day Child Ski Rental - 2017 Brand new Rossignol all mountain ski equipment. Conveniently located to all downtown lodging. Will deliver to your hotel. 3 - Day Child Ski Rental - 2017 Brand new Rossignol all mountain ski equipment. Conveniently located to all downtown lodging. Will deliver to your hotel. 4 - Day Adult Ski Rental - 2017 Brand new Rossignol Pursuit 100 all mountain ski equipment. Conveniently located to all downtown lodging. Will deliver to your hotel. 4 - Day Child Ski Rental - 2017 Brand new Rossignol all mountain ski equipment. Conveniently located to all downtown lodging. Will deliver to your hotel. 5 - Day Adult Ski Rental - 2017 Brand new Rossignol Pursuit 100 all mountain ski equipment. Conveniently located to all downtown lodging. Will deliver to your hotel. 5 - Day Child Ski Rental - 2017 Brand new Rossignol all mountain ski equipment. Conveniently located to all downtown lodging. Will deliver to your hotel. 1 - Day Adult Rossignol Snowboard Rental with boots - Conveniently located to all downtown lodging. Will deliver to your hotel. 1 - Day Child Rossignol Snowboard Rental with boots - Conveniently located to all downtown lodging. Will deliver to your hotel. 2 - Day Adult Rossignol Snowboard Rental with boots - Conveniently located to all downtown lodging. Will deliver to your hotel. 2 - Day Child Rossignol Snowboard Rental with boots - Conveniently located to all downtown lodging. Will deliver to your hotel. 3 - Day Adult Rossignol Snowboard Rental with boots - Conveniently located to all downtown lodging. Will deliver to your hotel. 3 - Day Child Rossignol Snowboard Rental with boots - Conveniently located to all downtown lodging. Will deliver to your hotel. 4 - Day Adult Rossignol Snowboard Rental with boots - Conveniently located to all downtown lodging. Will deliver to your hotel. 4 - Day Child Rossignol Snowboard Rental with boots - Conveniently located to all downtown lodging. Will deliver to your hotel. 5 - Day Adult Rossignol Snowboard Rental with boots - Conveniently located to all downtown lodging. Will deliver to your hotel. 5 - Day Child Rossignol Snowboard Rental with boots - Conveniently located to all downtown lodging. Will deliver to your hotel. Experience western hospitality with a true wesertern experience on our famous historic working ranch located in Spectacular Glenwood Canyon, along the banks of The Colorado River. 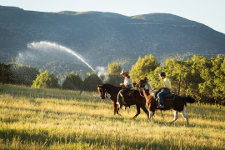 We invite you to enjoy our private 5,500 acre historic working ranch. Travel high above the famous Glenwood Canyon overlooking The Colorado River. This ride has something for everyone. Explore and view our stunning vistas. Our wranglers will provide you with inside info on the natural history, folklore, and geology of this historic working ranch. Bair Ranch is one of Colorado's oldest family run working live stock ranches. Family owned and operated as a working live stock ranch since 1919. It encompasses over 5500 acres and miles of trails, surrounded by forest, canyons, and The Colorado River. A mouthwatering western chuckwagon steak dinner accompanied by some great western music. 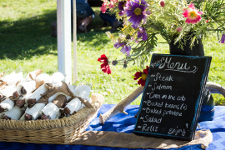 Menu items are served family style and include steak, baked potato, fresh baked rolls, garden salad, baked beans, corn on the cob and dessert. Suitable for all abilities. Live music only Thursday though Sunday. Take Exit 116 from I-70 W. Take Grand Ave. to Cooper Ave.